If your furnace is not working, you may be in for a long and cold winter. 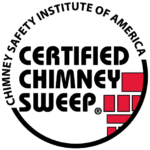 Thankfully Patriot Chimney has the experts to repair your furnace and keep your house warm again. We provide an array of furnace services to correct and malfunctions in your system. Our goal is to repair your furnace so it will last. If your furnace is making strange noises, your electric or gas bill has increased, your system puts out no hot air, turning up the thermostat yields no hot air, condensation is building up on your window, your pilot light is yellow, or you know your furnace is very old, you need to call us for a system inspection. We can determine what needs to be fixed and can provide the proper repairs.